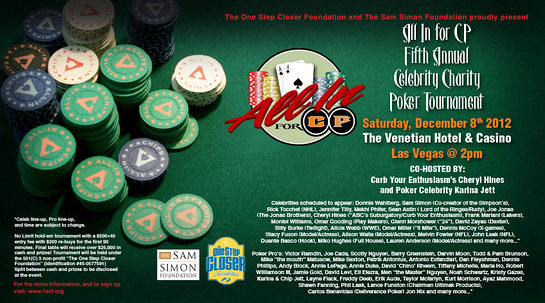 The One Step Closer Foundation will hold its annual celebrity charity poker tournament this weekend. 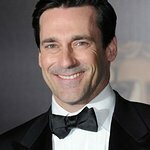 The One Step Closer Foundation is a non-profit, charitable organization whose main goal is to ease, as much as possible, the lives of those who suffer from Cerebral Palsy. This event incorporates the who’s who of celebrities, poker pros, high rollers and average Joe’s coming together for a very important cause. This event has been overwhelmingly successful and is getting bigger with each year. To date this event has helped raise over 460K getting the charity one step closer to their ultimate goal where Cerebral Palsy is a thing of the past. Celebrities expected to attend include Cheryl Hines, Mekhi Phifer, Shannon Elizabeth, Montel Williams and Scotty Nguyen.